Russians and Americans have many things in common, but few are as powerful as their shared love of sport. And we are about to be treated to that on the grandest scale: the Winter Olympic Games and Paralympics in Sochi. Have I got Sochi fever? You bet I do! As a boy growing up in Montana, I loved winter sports. Skiing, sledding, hockey, snowshoeing, and skating are all part of a typical childhood in Montana. Watching the Winter Olympics on television always brings back the joy of those crisp winter days and the thrill of cold weather sports. I remember the excitement of the 1980 Winter Games, which the United States hosted in Lake Placid. As an American, I felt honored and proud that my country was host to such a well-loved international sports event, and I know the Russian people feel the same sense of pride and enthusiasm for the Sochi Games. Millions of people around the globe will watch the Games from home on television, while thousands of Russians -- and Americans -- will fill the stands in Sochi to watch the feats of athleticism firsthand. This year I will be among them, for the first time experiencing the thrill of the Olympics in person. 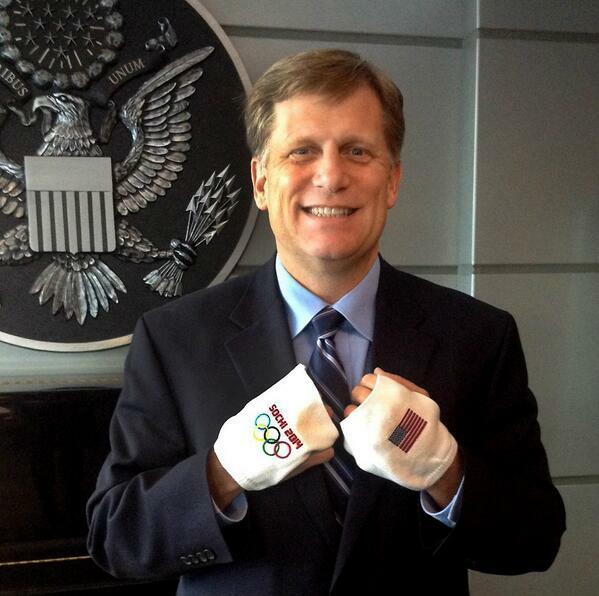 I am honored to represent the White House in Sochi as a member of the official U.S. Presidential delegations. The delegates reflect our team, our nation, and the diversity that has made America great and we are very proud to be part of Russia’s Winter Olympic experience. Seeing TeamUSA battle it out on the ice, on the slopes and on the track will go down as a true highlight of my time as ambassador to the Russian Federation. But perhaps more important to me are the deep ties between our peoples and countries that underpin these competitions. Russians Pavel Datsyuk, Ilya Kovalchuk, and 14 others play in the National Hockey League (NHL) in the United States, and their fans back in Columbus, Ohio; Raleigh, North Carolina; and Los Angeles, California will be rooting for them on the ice. Many of my colleagues at the Embassy will be on the edge of their seats when Washington Capitals forward Alex Ovechkin, wearing Russia’s jersey, faces off against his NHL teammate John Carlson on defense for TeamUSA. I am a giant fan of Ovechkin and had the thrill of meeting him both in Washington and Moscow. But in this faceoff, I’ll be rooting against him! Women's figure skater Polina Edmunds will come to Sochi carrying the hopes of her hometown of San Jose, California, but she will be cheered by her mother's family in Tver. Crowds in both Moscow and Boston, Massachusetts will proudly claim American pairs figure skater Simon Shnapir as a native son. Personally, I will be watching Heather McPhie go for the gold on the moguls; she is from my hometown of Bozeman, Montana. We are waiting for the final roster of Paralympians competing for TeamUSA in Sochi, but I have no doubt we will see more strong and vibrant connections with Russia among them. Americans and Russians share not only pride in the achievements of these athletes, but a mutual respect and admiration for the hard work and dedication they have invested over the years in order to become elite athletes. That extends beyond the Olympic podium. The magic of sport is that it transcends the barriers that sometimes keep our nations apart. We speak the same language of excitement when our team scores a goal. Racial, ethnic, and sexual orientation differences recede when teammates don the same jersey. Sitting in the stands, the age of the woman sitting next to you or the color of her passport doesn’t much matter when you both agree that the referee made a terrible call. Where you go home to after a game and what kind of car you drive to get there seem less important after you and your teammates win in double overtime. Watching a skier slice between the gates is no less exciting when that person is seated on one ski instead of standing on two. The Olympians and Paralympians competing in Sochi represent the highest level of athletic achievement. They follow generations of Americans and Russians who have brought their talent, commitment, and patriotism to the Olympic stage. Our hosts in Sochi have created a magnificent place for American athletes to compete, and for American spectators to fully enjoy a range of sporting and cultural events. This is not a surprise, of course. 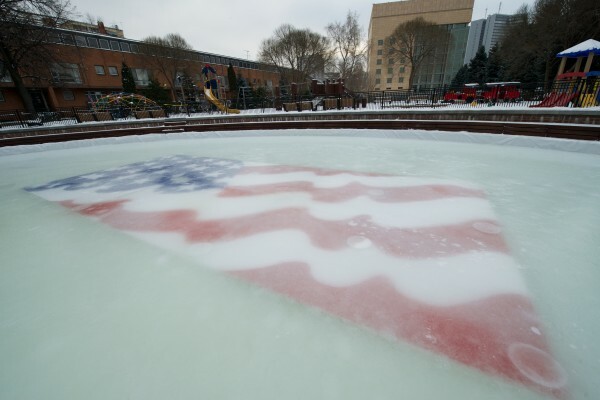 American athletes, as well as spectators like myself, found a warm welcome in Kazan last summer for the University Games, where the health, safety and comfort of competitors were the top priorities for the organizers. During the World Athletics Championships in August, the top-notch preparation, facilities, and management of the competition allowed the athletes to focus on their athletic performance. I have no doubt we will see the same throughout Russia’s “decade of sport” with the World Ice Hockey Championships and the FIFA World Cup on the horizon. My congratulations to all the athletes who have trained so hard to achieve their Olympic dreams and to those who have worked to make the Sochi Winter Olympic Games a celebration of international competition and cooperation. #GoTeamUSA!